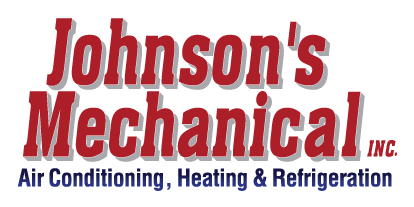 Commercial Refrigeration, Auburndale, FL | Johnson's Mechanical Inc. Commercial Refrigeration, Auburndale, FL | Johnson's Mechanical Inc.
A day without commercial refrigeration in Auburndale is unacceptable; we will get you back in business fast! Of all the things that can go wrong at your Auburndale, Florida business establishment, having a commercial refrigeration issue can be one of the most detrimental to conducting business. It is pretty difficult to keep your inventory safe from spoilage if your commercial cooler or freezer is on the fritz. If your walk-in freezer fails, you could have more food thawed than you could possibly cook and serve before it goes bad. Rather than try to figure out how to deal with spoiled food, call us at Johnson’s Mechanical Inc., and we’ll get to your business quickly to restore your commercial refrigeration before you lose all your inventory. It may not be quite as disastrous depending on your type of business, but having a problem with an ice machine can be pretty inconvenient, as well. It’s pretty hard to serve up a cocktail on the rocks if all your ice has converted to water. We treat this type of commercial refrigeration issue just as seriously and will respond promptly to your call. You can count on our professional technicians for fast and reliable repairs, and we are available 24 hours a day for emergency calls. Our local, family-owned and operated business was started in 1982, so we have plenty of years of experience under our belt for dealing with whatever type of commercial refrigeration issue is causing you grief. We are licensed, insured, and a state certified refrigeration contractor, so you can be assured of a quality experience for all your refrigeration-related needs. Call us today with any questions or concerns you may have.